The Burleson Files | On Competition and Circumvention. This weekend on the way home from one of our satellite locations, I listened to an interesting segment on NPR about competition in healthcare. Two economists were quoting Milton Friedman. That’s a quick way to get my attention. If you haven’t read Friedman, you’re doing yourself a disservice. One of the economists has made it his life mission to take down the California Medical Association and their anti-competitive stance on nurse practitioners. With nearly 20% of our GDP going to healthcare, you can expect more of these debates and you can expect them to get louder. Friedman wasn’t and isn’t the only economist who favored elimination of medical licensure. The problem with assuming competition in healthcare will drive down costs and increase quality, as nearly every industry has witnessed through increased competition, is that consumers have no worldly idea what they are going to pay for specific procedures when they go to a hospital or doctor’s office. Think I’m wrong? Try it. Call your local hospital and ask how much they will charge to take out your appendix. You won’t find a single person who can give you a straight answer. Occasionally, I’ll work with a cash-paying patient in the cleft palate clinic. When they ask how much something is going to cost, I’m not kidding when I tell them I don’t even know where the billing department is located at the hospital. Here and in other media, I’ve reported the details of the CATO Institute’s recommendation and position paper on medical licensure. The most feasible path forward to help stimulation competition and decrease costs is to eliminate licensure. I know this sounds crazy, but economists and legislators believe patients in poor counties should have the right to see a nurse practitioner and not a doctor if they so choose and, especially, if that’s the only option available to them. Same with dentistry. You’ll see more care being delivered by dental therapists, dental hygienists and expanded functions dental assistants, especially in the absence of oversight by a dentist. Recently, Kansas’ Governor and craniofacial surgeon, whom I worked with on the cleft palate team at St. Luke’s hospital, signed into law a new telemedicine bill. Dr. Marc Ackerman and his impressive group of directors have launched the American Teledentistry Association. The pace of all of this is increasing rapidly. It is no longer a far-fetched dream that doctors and dentists will be delivering care at a distance. I’ve said here and elsewhere that this is a great way to increase taxes to cover the burden of paying the coroner in Minnesota after a doctor in Texas prescribes the wrong medication that kills someone. Listen, this stuff happens in doctor’s offices face-to-face, so it’s not the telemedicine that I’m concerned with, it’s the increased burden of compliance and growing federal taxation that will swallow small providers. But that’s exactly what has happened. Trump’s Administration has given us a 4, hopefully 8 year pause from the relentless battering small businesses have taken over the decades, but even Trump’s Tax Plan did nothing to help the small professional-services business in America. I will pay more in taxes this year than ever before. They know where their golden goose lives and they aren’t about to kill it by lowering the taxes of the top 1%. Look at every industry and you’ll actually see less competition, built under the guise of more competition. The US previously had over 100 car manufacturers. Today we have three. We used to have hundreds of airlines in this country. Today we have ten. Telecommunications providers, internet service providers, retail and even hospitals have undergone massive consolidation. They won’t admit it, but the bureaucrats and regulators in Washington D.C. would much rather police and regulate a handful of players in one industry than they would hundreds. I can’t blame them. I would too and so we’re on a steady march towards a single-payer system in this country. You can ignore it or position yourself for a wise exit and then re-entry in a much smaller footprint, serving a very small sliver of your population with a very niched, customized, specialized service. There’s nothing wrong with this strategy, by the way. Rolls Royce sells only 3,500-4,000 cars per year but does so at a 26% net profit margin. Ford’s net profit margin last year was negative 2.9%. The previous year, Ford enjoyed a whopping 6% net profit margin, their best ever. The average for the auto industry last year was 1.34%. 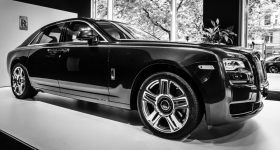 Rolls Royce clawed $4.21 billion in profit and a 26% net margin out of only 4,000 cars sold last year. Amazon would have to ship over $250 billion of crap to their 100 million Prime members in order to get the same amount of profit. Through continued expansion and consolidation, hospitals will produce the same money math as Amazon – razor-thin margins. Physicians who join hospital employment see their net productivity drop by 35% compared to their peers in private practice (Source: JAMA). These conglomerates will operate on razor thin margins, which is fine as long as they can produce earnings for Wall Street and private equity. You can try to play in this new world. I’m not discouraging it at all. Some of our colleagues are attempting as we speak. Some know their history and are trying to defy it. Some do not know our industry’s history and are doomed to repeat it. Both miss the fundamental truth in all of this: you can be aware of what’s going on and circumvent it. Make yourself Rolls Royce and compete in a category of one. Surpass everyone else in your town by taking better care of your customers than they can. The only problem you’ll have, like Rolls, is that your profits will be embarrassingly high.